Sewell is pleased to offer you one of our new, limited use Company Cars for purchase. This vehicle was driven by a Sewell associate and has been fully maintained by our service department. As an untitled new car, this vehicle is eligible for all manufacturer rebates and incentives which are included in the advertised price. Please remember we have a limited quantity of Company Cars available. Special pricing includes $1,008 GMC rebate, $3,107 Supplier Pricing for Everyone discount, $1,176 GMC down payment assistance cash, $1,176 GMC Conquest Bonus Cash for current owners or lessees of a 2005 or newer non-GM passenger vehicle and $1,500 Sewell discount. Must finance through GM Financial. Not compatible with special finance, lease and some other offers. This offer is valid through 4/30/2019. Applies to stock number 5034489. Please contact us to learn more about this exceptional offer. This vehicle is eligible for all manufacturer rebates and incentives which are included in the advertised price. Special pricing includes $1,009 GMC rebate, $3,113 Supplier Pricing for Everyone discount, $1,178 GMC down payment assistance cash, $1,178 GMC Conquest Bonus Cash for current owners or lessees of a 2005 or newer non-GM passenger vehicle and $2,408 Sewell discount. Must finance through GM Financial. Not compatible with special finance, lease and some other offers. This offer is valid through 4/30/2019. Please contact us to learn more about this exceptional offer. This vehicle is eligible for all manufacturer rebates and incentives which are included in the advertised price. Special pricing includes $999 GMC rebate, $3,158 Supplier Pricing for Everyone discount, $1,188 GMC down payment assistance cash, $1,188 GMC Conquest Bonus Cash for current owners or lessees of a 2005 or newer non-GM passenger vehicle and $349 Sewell discount. Must finance through GM Financial. Not compatible with special finance, lease and some other offers. This offer is valid through 4/30/2019. Applies to stock number 5045816. Please contact us to learn more about this exceptional offer. This vehicle is eligible for all manufacturer rebates and incentives which are included in the advertised price. Special pricing includes $1,002 GMC rebate, $3,792 Supplier Pricing for Everyone discount, $1,370 GMC down payment assistance cash and $1,370 GMC Conquest Bonus Cash for current owners or lessees of a 2005 or newer non-GM passenger vehicle. Must finance through GM Financial. Not compatible with special finance, lease and some other offers. This offer is valid through 4/30/2019. Sewell is pleased to offer you one of our new, limited use Company Cars for purchase. This vehicle was driven by a Sewell associate and has been fully maintained by our service department. As an untitled new car, this vehicle is eligible for all manufacturer rebates and incentives which are included in the advertised price. Please remember we have a limited quantity of Company Cars available. Special pricing includes $877 GMC rebate, $4,355 Supplier Pricing for Everyone discount, $1,495 GMC down payment assistance cash, $1,495 GMC Conquest Bonus Cash for current owners or lessees of a 2005 or newer non-GM passenger vehicle and $1,500 Sewell discount. Must finance through GM Financial. Not compatible with special finance, lease and some other offers. This offer is valid through 4/30/2019. Applies to stock number 5045405. Please contact us to learn more about this exceptional offer. This vehicle is eligible for all manufacturer rebates and incentives which are included in the advertised price. 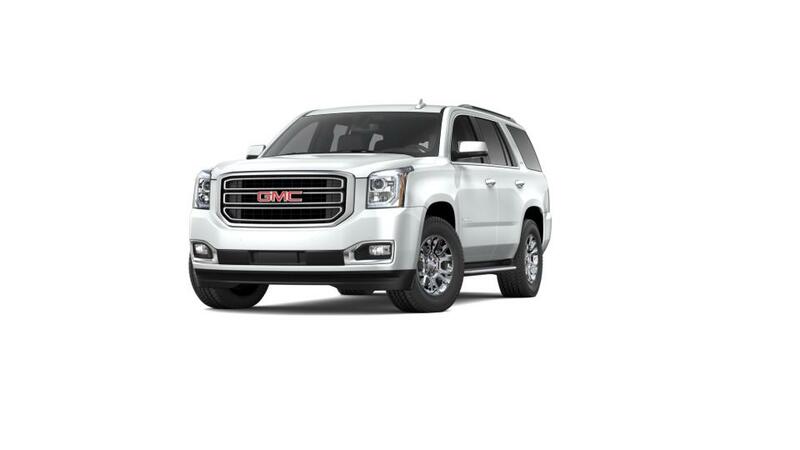 Special pricing includes $1,093 GMC rebate, $4,068 Supplier Pricing for Everyone discount, $1,475 GMC down payment assistance cash and $1,475 GMC Conquest Bonus Cash for current owners or lessees of a 2005 or newer non-GM passenger vehicle. Must finance through GM Financial. Not compatible with special finance, lease and some other offers. This offer is valid through 4/30/2019. Applies to stock number 5045400. Sewell is pleased to offer you one of our new, limited use Company Cars for purchase. This vehicle was driven by a Sewell associate and has been fully maintained by our service department. As an untitled new car, this vehicle is eligible for all manufacturer rebates and incentives which are included in the advertised price. Please remember we have a limited quantity of Company Cars available. Special pricing includes $1,050 GMC rebate, $4,260 Supplier Pricing for Everyone discount, $1,517 GMC down payment assistance cash, $1,517 GMC Conquest Bonus Cash for current owners or lessees of a 2005 or newer non-GM passenger vehicle and $1,528 Sewell discount. Must finance through GM Financial. Not compatible with special finance, lease and some other offers. This offer is valid through 4/30/2019. Applies to stock number 5038620. Please contact us to learn more about this exceptional offer. This vehicle is eligible for all manufacturer rebates and incentives which are included in the advertised price. 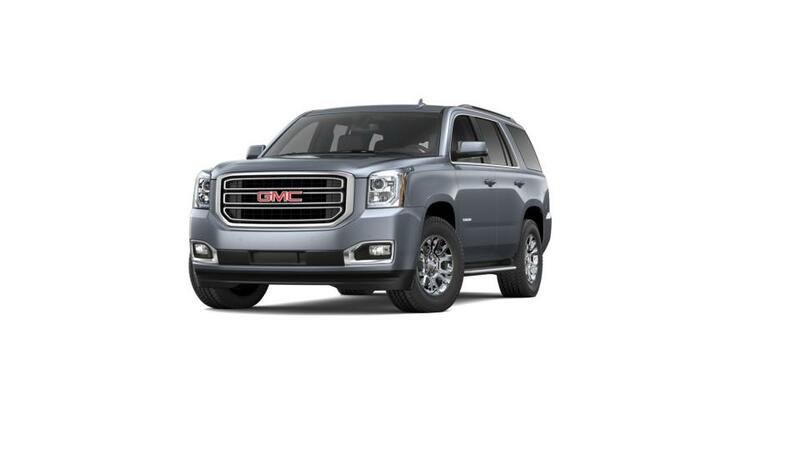 Special pricing includes $882 GMC rebate, $4,336 Supplier Pricing for Everyone discount, $1,491 GMC down payment assistance cash, $1,491 GMC Conquest Bonus Cash for current owners or lessees of a 2005 or newer non-GM passenger vehicle and $337 Sewell discount. Must finance through GM Financial. Not compatible with special finance, lease and some other offers. This offer is valid through 4/30/2019. Applies to stock number 5044874. Sewell is pleased to offer you one of our new, limited use Company Cars for purchase. This vehicle was driven by a Sewell associate and has been fully maintained by our service department. As an untitled new car, this vehicle is eligible for all manufacturer rebates and incentives which are included in the advertised price. Please remember we have a limited quantity of Company Cars available. Special pricing includes $1,039 GMC rebate, $4,299 Supplier Pricing for Everyone discount, $1,525 GMC down payment assistance cash, $1,525 GMC Conquest Bonus Cash for current owners or lessees of a 2005 or newer non-GM passenger vehicle and $1,500 Sewell discount. Must finance through GM Financial. Not compatible with special finance, lease and some other offers. This offer is valid through 4/30/2019. Applies to stock number 5027084. Please contact us to learn more about this exceptional offer. This vehicle is eligible for all manufacturer rebates and incentives which are included in the advertised price. Special pricing includes $874 GMC rebate, $4,359 Supplier Pricing for Everyone discount, $1,495 GMC down payment assistance cash and $1,495 GMC Conquest Bonus Cash for current owners or lessees of a 2005 or newer non-GM passenger vehicle. Must finance through GM Financial. Not compatible with special finance, lease and some other offers. This offer is valid through 4/30/2019. Applies to stock number 5039469.